Introducción: El ácido oxálico (H2C2O4) y las sales de oxalato son sustancias altamente oxidadas y consideradas tóxicas para algunos sistemas biológicos, incluido el humano, no obstante, pueden ser utilizadas como fuente de carbono y energía por algunas comunidades bacterianas, denominadas oxalotróficas, las cuales por su capacidad metabólica forman parte de la ruta biogeoquímica oxalato-carbonato (OCP, oxalate-carbonate pathway). Objetivo: Aislar y caracterizar bacterias oxalotróficas a partir de plantas del género Oxalis sp., de zonas alto-andina de Nariño- Colombia. Materiales y métodos: Se recolectaron muestras de suelo rizosférico de plantas oxalogénicas que fueron analizadas con parámetros fisicoquímicos y se utilizó un medio selectivo Schlegel para el aislamiento de bacterias oxalotróficas. Resultados: Las bacterias aisladas en medio selectivo Schlegel fueron caracterizadas bioquímicamente como: (Serratia fonticola, Bacillus amyloliquefaciens, Bacillus subtilis, Bacillus vallismortis y Bacillus cereus). Estas especies fueron capaces de degradar oxalato e incrementar el pH producto de la degradación. Conclusión: Este tipo de bacterias pueden ser estudiadas en trabajos complementarios para evaluar su potencial como biofertilizantes y/o alternativas de bioremediación en suelos ácidos. El estudio a pesar de ser indicativo a nivel biológico, puede en un futuro y con base en mayores soportes en investigación, tornarse en una promisoria aplicación para reducir el oxalato de calcio en los alimentos de consumo diario que presentan un renglón de importancia agrícola en la región, potencialmente dañinos para la función renal. Introduction: Oxalic acid (H2C2O4) and oxalate salts are highly oxidized substances, which are considered as toxic for some biological systems, including the human being; however, they can be used as a source of carbon and energy for some bacterial communities called oxalotrophic which are part of the so called oxalate-carbonate geochemistry pathway (OCP) due to its metabolic capacity. Objective: The aim of this research was to isolate and characterize oxalotrophic bacteria from plants of the genus Oxalis sp. in the high-andean zone of the department of Nariño, Colombia. Materials and methods: Samples of rhizosphere soil from oxalogenic plants were analyzed with physicochemical parameters and a Schlegel selective medium was used to isolate oxalotrophic bacteria. Results: The isolated bacteria through Schlegel selective medium were identified biochemically as: (Serratia fonticola, Bacillus amyloliquefaciens, Bacillus subtilis, Bacillus vallismortis and Bacillus cereus). The identified species play an important role in the rhizosphere soil, principally for the capacity to increase the pH during oxalate consumption. Conclusion: This type of bacteria can be studied in additional studies to evaluate their potential as bio-fertilizers and/or bioremediation alternatives in acid soils. Despite that the study is indicative at a biological level, it can become a promising application, in the future and with greater support in research, to reduce the calcium oxalate in food of daily consumption which represent an agricultural important line in the region and are potentially harmful to kidney finction. MSc (c) Microbiología. Laboratório de Bioproductos, Instituto de Ciências Biomédicas, Universidade de São Paulo. São Paulo, Brasil. PhD Microbiología. 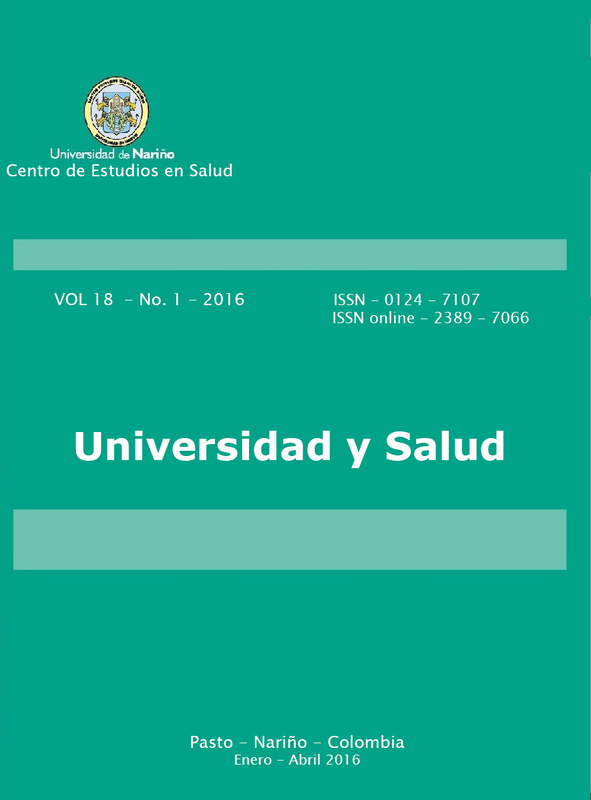 Profesora asociada, Departamento de Biología, Universidad de Nariño. Pasto, Colombia. MSc (c) Microbiología Agroindustrial, Grupo de Investigación en aprovechamiento de subproductos agroindustriales, Facultad de Ciencias Agrarias, Universidad del Cauca. Popayán, Colombia. PhD Microbiología. Profesor asociado, Departamento de Biología, Universidad de Nariño, Pasto, Colombia. nitrogen, phosphorus, sulfur, Micronutr. 1999; 427 pp. Haase S, Neumann G, Kania A, Kuzyakov Y, Römheld V, Kandeler E. Elevation of atmospheric CO2 and N nutritional status modify nodulation, nodule-carbon supply, and root exudation of Phaseolus vulgaris L. Soil Biol Biochem. 2007;39(9):2208–21. Suter D, Frehner M, Fischer BU, Nösberger J, Lüscher A. Elevated CO2 increases carbon allocation to the roots of Lolium perenne under free-air CO2 enrichment but not in a controlled environment. New Phytol. 2002;154(1):65–75. Pendall E, Bridgham S, Hanson PJ, Hungate B, Kicklighter DW, Johnson DW, et al. Below-ground process responses to elevated CO2 and temperature: A discussion of observations, measurement methods, and models. New Phytol. 2004;162(2):311–22. Cailleau G, Braissant O, Verrecchia EP. Biomineralization in plants as a long-term carbon sink. Naturwissenschaften. 2004;91(4):191–4. Siener R, Hönow R, Seidler A, Voss S, Hesse A. Oxalate contents of species of the Polygonaceae, Amaranthaceae and Chenopodiaceae families. Food Chem. 2006;98(2):220–4. Cailleau G, Braissant O, Verrecchia EP. Turning sunlight into stone: The oxalate-carbonate pathway in a tropical tree ecosystem. Biogeosciences. 2011;8(7):1755–67. Nakata PA. Advances in our understanding of calcium oxalate crystal formation and function in plants. Plant Sci. 2003;164:901–9. Yang JC, Loewus FA. Metabolic conversion of l-ascorbic acid to oxalic aAcid in oxalate-accumulating plants. Plant Physiol. 1975;56(2):283–5. Albihn PB, Savage GP. The bioavailability of oxalate from Oca (Oxalis tuberosa). J Urol. 2001;166(2):420–2. Lima VLAG De, Mélo EDA, Santos Lima L Dos. Physicochemical characteristics of Bilimbi (Averrhoa bilimbi L.). Rev Bras Frutic. 2001;23(2):421–3. Dubois M, Savage GP, Martin RJ. The effect of cooking on the composition and colour of New Zealand grown oca. Food Chem. 2007;104(2):768–73. Türkmen N. Oxalis Pes-Caprae F . Pleniflora (Lowe) Sunding (Oxalidaceae), A new record for the flora of Turkey. 2010;7(5):596–9. Martin G, Guggiari M, Bravo D, Zopfi J, Cailleau G, Aragno M, et al. Fungi, bacteria and soil pH: The oxalatecarbonate pathway as a model for metabolic interaction. Environ Microbiol. 2012;14(11):2960–70. Braissant O, Verrecchia EP, Aragno M. Is the contribution of bacteria to terrestrial carbon budget greatly underestimated? Naturwissenschaften. Springer; 2002;89(8):366–70. Sahin N. Oxalotrophic bacteria. Research in Microbiology. 2003. p. 399–407. Bravo D, Braissant O, Cailleau G, Verrecchia E, Junier P. Isolation and characterization of oxalotrophic bacteria from tropical soils. Arch Microbiol. 2014;197(1):65–77. Oke OL. Oxalic acid in plants and in nutrition. World Rev Nutr Diet. ENGLAND; 1969;10:262–303. Cala, Victoria, Kunimine Y. Distribución de plomo en suelos contaminados en el entorno de una planta de reciclaje de baterías ácidas. Rev Int Contam Ambient. 2003;19(3):109–15. Bache BW. The Chemistry of Soils. Geol Mag. Cambridge Journals Online; 1990;127(02):190–1. Bravo D, Cailleau G, Bindschedler S, Simon A, Job D, Verrecchia E, et al. Isolation of oxalotrophic bacteria able to disperse on fungal mycelium. FEMS Microbiol Lett. 2013;348:157–66. Bravo D, Braissant O, Solokhina A, Clerc M, Daniels AU, Verrecchia E, et al. Use of an isothermal microcalorimetry assay to characterize microbial oxalotrophic activity. FEMS Microbiol Ecol. 2011;78(2):266–74. Castillo, R., Hernandez, R., Patiño A., Perez J. Determinación de la producción de ácido oxálico en cinco especies de Oxalis y su relación con bacterias oxalotróficas asociadas a la rizósfera. VI Congreso Colombiano de Botánica 2011. Somasegaran P, Hoben HJ. Methods In Legume- Rhizobium Technology. Trop Agric. 1985;1–510. Aragno, M, Schlegel H. The mesophilic hydrogenoxidizing (Knallgas) bacteria. The prokaryotes. A handbook on the biology of bacteria: Ecophysiology, isolation, identification, applications. 2nd editio. Balows, A., Trüper, H.G., Dworkin, M. Harder, W., Schleifer K-H, editor. New York: Springer-Verlag; 1992.344-384 p.
Garrity G, Rainey FA, Widdel F. Bergey’s Manual of Systematic Bacteriology. Bergey’s Manual® of Systematic Bacteriology. 2005. Blackmore MA, Quayle JR, Walker IO. Choice between autotrophy and heterotrophy in Pseudomonas oxalaticus. Utilization of oxalate by cells after adaptation from growth on formate to growth on oxalate. Biochem J. 1968;107(5):699–704. Rozycki M, Bartha R. Problems associated with the use of azide as an inhibitor of microbial activity in soil. Applied and environmental microbiology. 1981. p. 833–6. Brady NC, Weil RR. The nature and properties of soils. Macmillan Publishing CoNew York. 2002. 960 p.
Aslim B, Caliskan F, Beyatli Y, Gunduz U. Poly-β- hydroxybutyrate production by lactic acid bacteria. FEMS Microbiol Lett. 1998;159(2):293–7. Urbano P. Tratado de fitotecnia Ggeneral. Edición 2a. Mundi-Prensa; 2001. 865 p.
Ludovic R. Plant and soil microbe interactions in controlled conditions : rhizosphere protozoa and bacterial community. University of Neuchâtel; 2008. Svedružić D, Liu Y, Reinhardt LA, Wroclawska E, Cleland WW, Richards NGJ. Investigating the roles of putative active site residues in the oxalate decarboxylase from Bacillus subtilis. Arch Biochem Biophys. 2007;464(1):36–47. Cailleau G, Mota M, Bindschedler S, Junier P, Verrecchia EP. Detection of active oxalate-carbonate pathway ecosystems in the Amazon Basin: Global implications of a natural potential C sink. Catena. 2014;116:132–41. Grimont PAD, Grimont F, Starr MP. Serratia species isolated from plants. Current Microbiology. 1981. p. 317–22. Turner JT, Backman PA. Factors relating to peanut yield increases after seed treatment with Bacillus subtilis. Plant Dis. 1991;75(4):347–53. Idriss EE, Makarewicz O, Farouk A, Rosner K, Greiner R, Bochow H, et al. Extracellular phytase activity of Bacillus amyloliquefaciens FZB45 contributes to its plant-growth-promoting effect. Microbiology. 2002;148(7):2097–109. Manjula K, Podile AR. Chitin-supplemented formulations improve biocontrol and plant growth promoting efficiency of Bacillus subtilis AF 1. Can J Microbiol. 2001;47(7):618–25. Chang WT, Chen CS, Wang SL. An antifungal chitinase produced by Bacillus cereus with shrimp and crab shell powder as a carbon source. Curr Microbiol. 2003;47(2):102–8. Walker R, Powell AA, Seddon B. Bacillus isolates from the spermosphere of peas and dwarf French beans with antifungal activity against Botrytis cinerea and Pythium species. J Appl Microbiol. 1998;84(5):791–801. Reva ON, Dixelius C, Meijer J, Priest FG. Taxonomic characterization and plant colonizing abilities of some bacteria related to Bacillus amyloliquefaciens and Bacillus subtilis. FEMS Microbiol Ecol. 2004;48(2):249–59.